So nothing new at northlakes. I might take a drive outside of civilisation and visit morayfield on Friday. Sightings from the last five days. 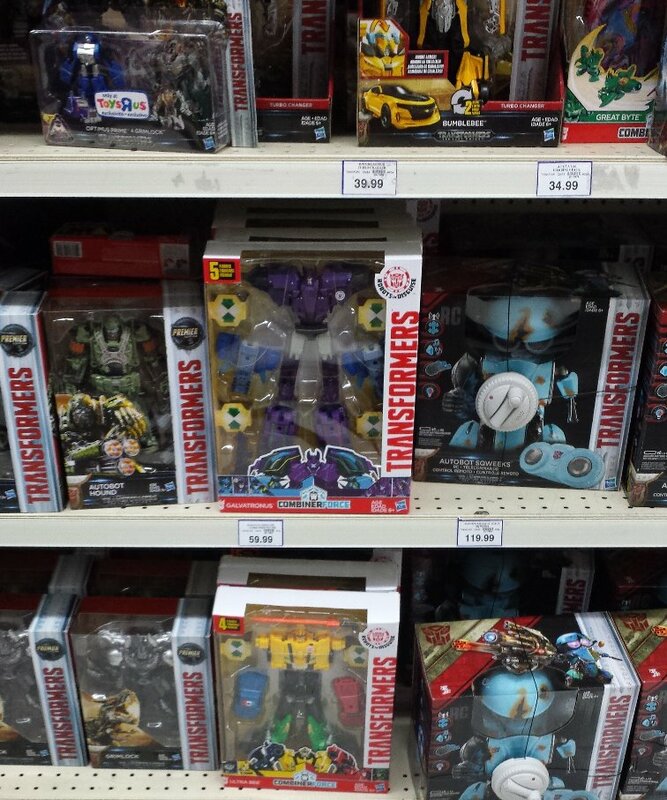 ToysRUs Garden City (Saturday), had the wave 2 RID Combiner Team Galvatronus (as did Toyworld at Macgregor). 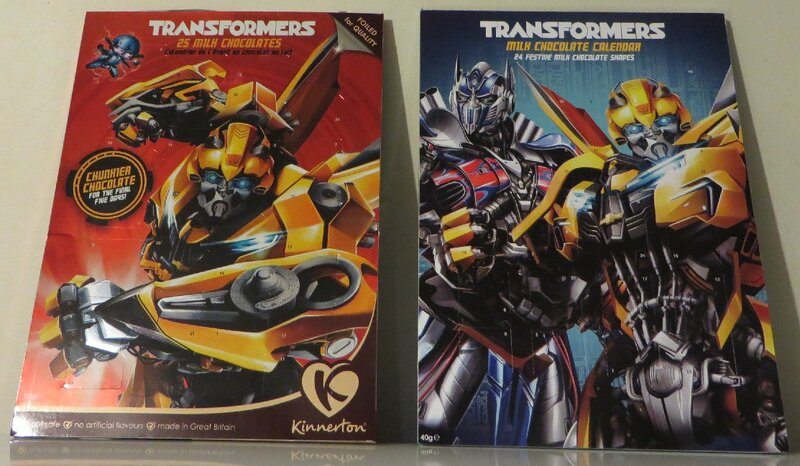 I was actually surprised that they had quite a few of Galvatronus, but no Menasors from wave 1. Target Garden City - had a restock of Movie 1-steps, but only wave 2. 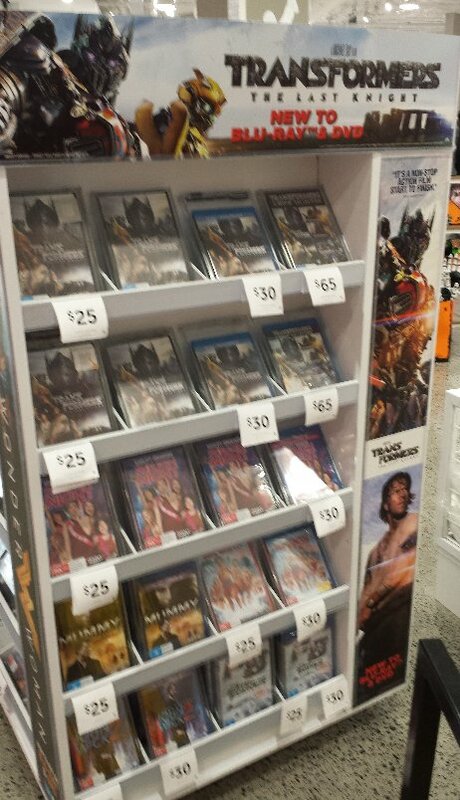 And one of the Movie DVD/BR displays. Kmart Garden City - the Movie mugs and RID mini-lunchbox. 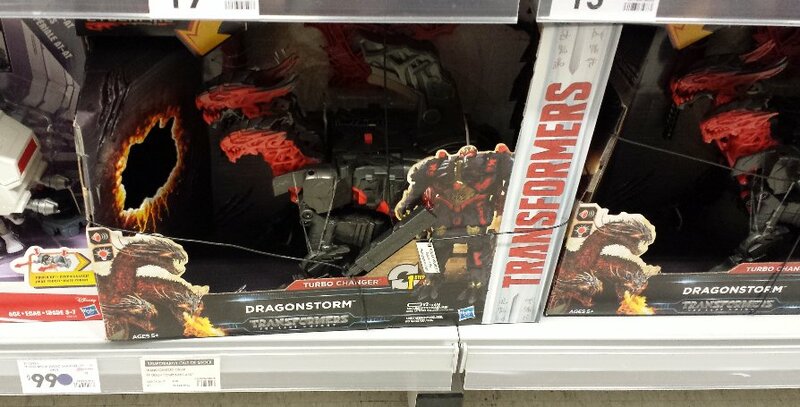 Kmart Logan Hyperdome (today) - had the Movie mega 1-step Dragonstorm for $99, which is the same price as BigW... and some $60 less than Toyworld and ToysRUs. 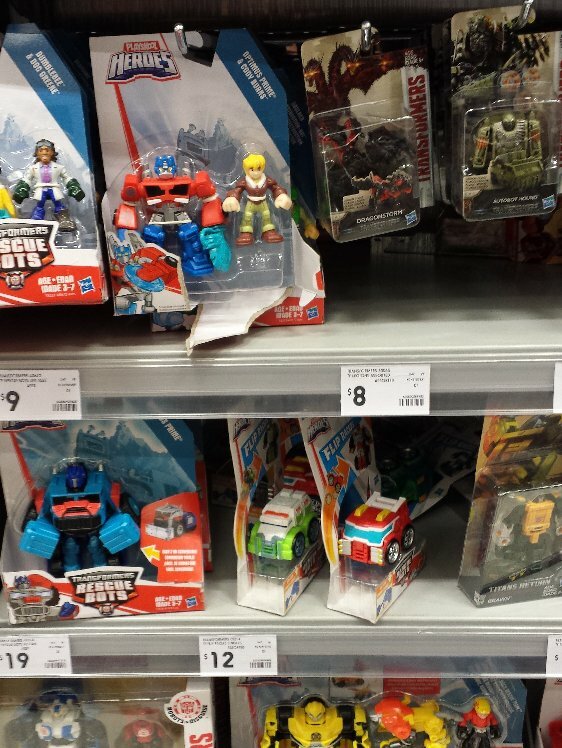 They also had the new Rescue Bots Optimus (no stegosaurus Chase though). 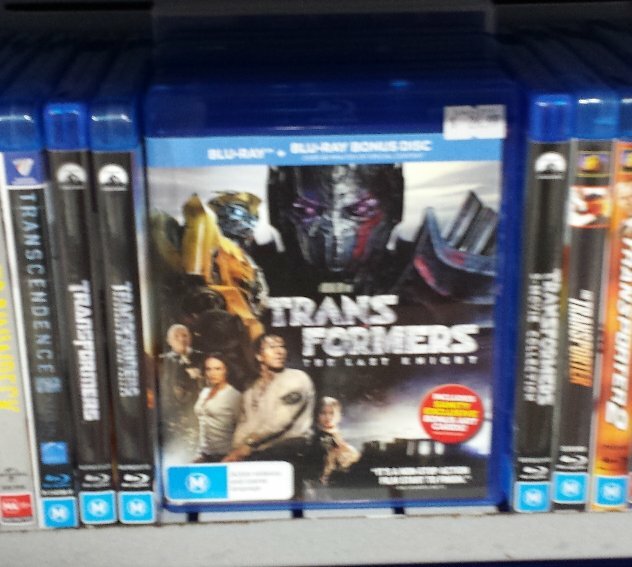 Sanity Logan Hyperdome (today) - various copies of the TF5 movie, including their exclusive edition with the character cards and bonus disc for $27 (which does indeed include the Combiner Wars cartoon, but not noted on the case). Was at Garden City Myer today. Nothing specific but they are advertising a toy sale. 20% off of you buy two items. They did have a Blitzwing when I got my Octone at Morayfield but I can't say whether he'd be there now. But if they got stock then Caboolture would also be a good place to phone. Dang, they only had astrotrain up there today. Ravagecat saw the TR Blitzwing and Octone at ToysRUs Garden City yesterday... just in time for the 20% off coupon, for those still searching for them. Well if they were, they're gone now. All I can find are about a million Broadsides. Makes you wonder who buys the stock and how many brain cells they've lost. Yea, blow it, just going to do a bbts order. 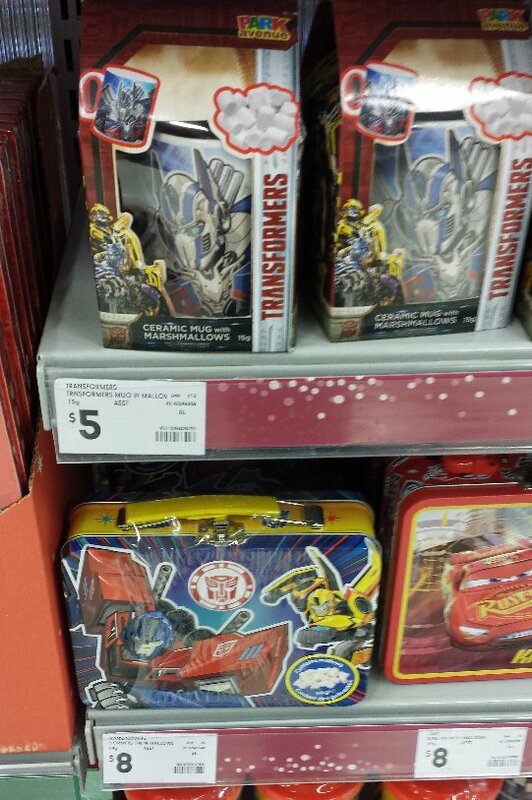 Big W Runaway Bay has a dual MLP/Transformers palette, with the TLK Deluxes Sqweaks, Drift and Ironheart? Dragon guy anyway.